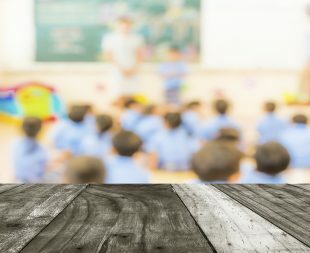 The survey of school leaders by The Key, an information service for school leaders, suggests children with special educational needs and disabilities (SEND) are being let down by the system and that funding for SEND provision – both in terms of school-based resources and teacher training - isn’t enough. The story ran on BBC Breakfast and briefly on Sky. BBC Breakfast featured an interview with a parent who spoke of the positive support given to her child with SEND but mentioned other parents she knew did who not have the same experience. BBC online also reported on the findings. Just 20 months ago we made fundamental changes to the way the SEND support system works for families – the biggest in a generation. These put children and young people with special educational needs and disabilities (SEND) at the heart of the process, ensuring that they are supported all the way through to adulthood. Since then 74,000 young people have been given personalised education, health and care (EHC) plans. Schools have a vital role to play in this work, which is why we’ve protected the overall school budget and increased the funding for children and young people with high needs by over £90 million this year. Ensuring teachers are trained to have an understanding of the needs of pupils with SEND is a key part of our drive to give all children access to the education they deserve. The Education Secretary has confirmed that SEND training will form part of the new core content for ITT. Further detail will be published in due course. In March 2015 an independent expert group, chaired by Stephen Munday CBE, Chief Executive of Comberton Academy Trust, was appointed to lead vital work to develop a core ITT framework - to support those who deliver Initial Teacher Training (ITT) as well as applicants and trainees to have a better understanding of the essential elements of good ITT core content. The full report will be published in due course. We have funded disability groups to produce good practice material for teachers on meeting particular needs and are continuing to do so. The National College for Teaching and Leadership (NCTL) is also supporting teachers to recognise and respond to a wide range of pupil needs, and a series of online training materials is available to teachers with a focus on the most common forms of SEND. To ensure councils have capacity to implement the reforms effectively, our additional funding has including a £70m SEND Reform Grant in 2014-15 to help local authorities plan for the SEN and disability reforms, and three ‘new burden’ grants (£45m in 2014-15, £32m in 2015-16 and £35.8m in 2016-17) to pay for the additional costs of implementing the reforms. We are also funding a contract worth just under £500k over one year to support the workforce in the implementation of the SEND reforms through helping teachers and schools to access practical support and appraise how most effectively to work with those with SEND, including effective commissioning of support embedding good practice and assessing coverage of the preparing for adulthood outcomes. LAs are delivering nearly 60% (59.1%) of new EHC plans within 20 weeks, excluding exception cases. Some areas are managing 100%. 74,000 children have had EHC plans implemented since September 2014. As lead ministers for children with SEND, Edward Timpson and Jane Ellison, wrote a blog last week on the fundamental changes we have made to the way the SEND support system works for families.